M any patients crave a straighter, more attractive smile, but they are concerned about the cost of orthodontic treatment. However, we are happy to help you learn more about the ways that you can better afford the Invisalign cost. 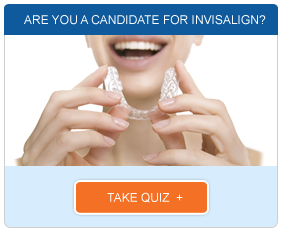 The Invisalign cost includes every phase of the treatment. You will begin with a comprehensive oral evaluation that includes X-rays, photos and dental impressions. These images are then used to create a series of aligners that will make precise movements over the course of your treatment plan. They can also be an exciting preview of the results that you can expect. These aligners are smooth and comfortable, and when you wear them, they will be nearly invisible against your teeth for more discreet treatment. Because each stage of treatment is designed to make specific movements, it is critical that you wear your aligners as prescribed. Our dentist may recommend that you wear them between 20 and 22 hours a day and that you change them every two weeks. The aligners can be removed for eating, drinking and dental hygiene. Maintaining good brushing and flossing habits during treatment can keep your teeth and gums healthy. You will return for a visit about every six weeks so that we can assess your progress and make sure you are on track. Because every smile we treat is unique, the Invisalign cost can vary widely. Longer treatments and more complex cases may cost more than express treatments. If you are interested in orthodontic treatment but are concerned about the Invisalign cost, we can help. Many dental insurers cover a percentage of the cost of Invisalign, and we offer financing plans for qualified patients. 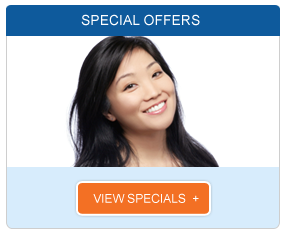 We even occasionally run special offers that can make Invisalign even more affordable. Give us a call to schedule your consultation with our Los Angeles Invisalign provider.